The end of the school year is looming. The cheap laptop cart in your department is falling apart, and you'd like to get another with the meager amount left over in the budget. But do you really want another junky laptop cart? Please do your faculty and your students a favor and take a look at Spectrum Industries' vLT line of laptop carts. With our latest line of laptop carts, we have focused on the basics that our loyal customers enjoy most: laptop security and superior mobility at value pricing. The panels and doors are made from 16 gauge steel, and the wheels are 5" soft-ride balloon wheels. 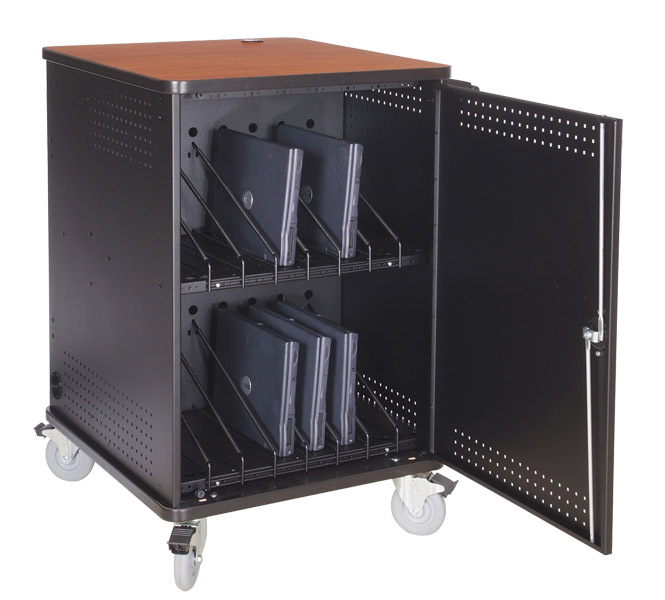 With double-bolt locks and a manageable footprint, we have designed and delivered the security and mobility that our customers wanted most in a laptop cart. Of course, we didn't necessarily stop there. Like all of our laptop carts, we added a 1" high pressure laminated worksurface. As such, the vLT doesn't look like just another metal box with wheels that happens to hold laptops. 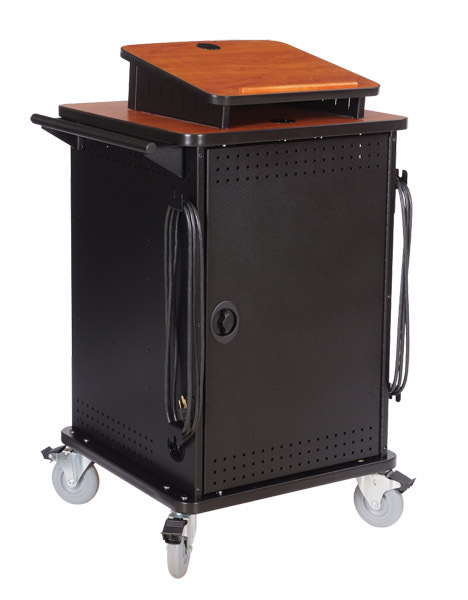 This laptop cart actually looks like custom furniture, and with a riser podium, the vLT could double as a lectern! Spectrum Industries, Inc. - Manufacturer of quality laptop carts since 1995.